It succeeds in doing just that and stands as the classic of gothic horror novels, inspiring many screen and stage adaptations. But none has ever done proper justice to the novel's powerful ethical and philosophical themes - scientific hubris, our narrow perception of beauty, the powerful urge for friendship and love and the consequences if these needs are denied. The story itself is a gripping blend of science fiction, mystery and thriller. 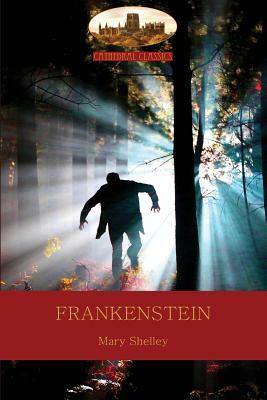 Victor Frankenstein, obsessed with the idea of creating life from death, experiments with alchemy and science to build a man-like monster from dead remains. He succeeds, but immediately abandons the fruit of his labours, repulsed as he is by its grotesque appearance. The reader's compassion is kindled for the sentient creature left to fend for himself but his maker shows little empathy and is arguably more monster than the being he spawned. The ogre's rejection by his "father" sets in motion a tragic chain of events that brings Victor to the very brink of madness. Written when Shelley was only 18 years old in response to a challenge between herself, Lord Byron, her husband-to-be, Percy Shelley, and John Polidori, to compose the most terrifying ghost story, this volume is based on the third edition of 1831, and contains the revisions Mary Shelley made to her story, as well as her 1831 introduction and Percy Shelley's preface to the first edition.